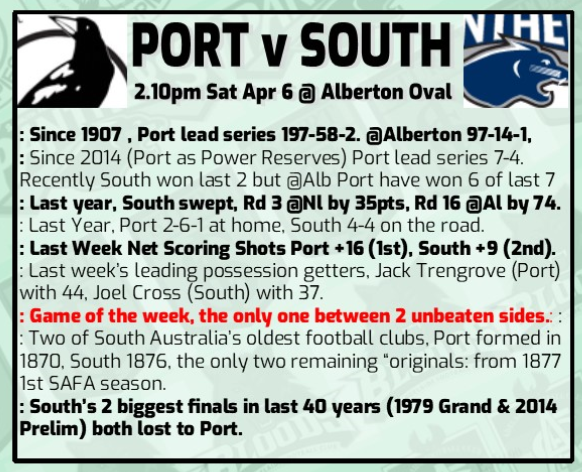 Great win by the Panthers, Always nice to get a win at Alberton. All played well, a very even contribution from all players. After Overall went off 2 mins into the first quarter I wondered where our goals would come from! Whittlesea continued his good form with 5 and Big Al provided a great focal point as well.Loved our 3rd quarter where we absolutely dominated. Cross also played well and found plenty of the footy.He was also the victim in receiving one of the crudest head high tackles that I have seen in many years- after he'd disposed of the ball at around the 16 min mark of the 2nd Quarter.. No free kick of course, not at Alberton. But I'd suggest the offender wont/shouldn't be playing SANFL or AFL for at least 4 weeks.